Xenoblade Chronicles 2's overdrawn (over eight minutes!) showcase on today’s Nintendo Direct was agonising. To make up for that, the game is also getting this very pleasant Switch Pro Controller. 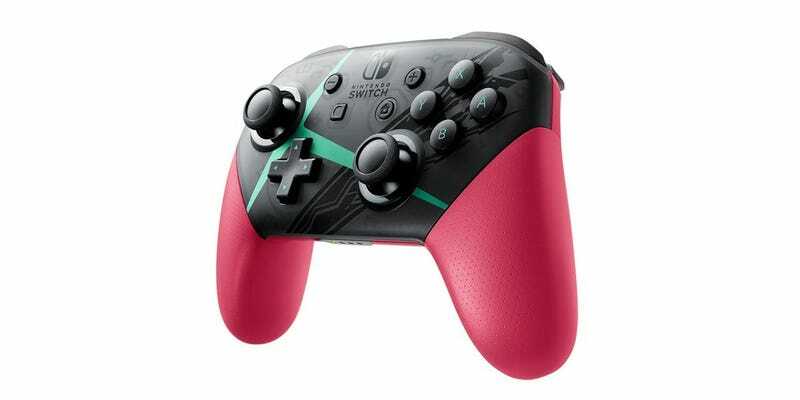 I appreciate, as a fan of pink controllers but not Xenoblade Chronicles 2, how there’s no obtrusive branding for the game plastered all over it, so you can enjoy the pad even if you don’t enjoy the game.